﻿ 9 Advantages of Convoluted Tubing, You Know? 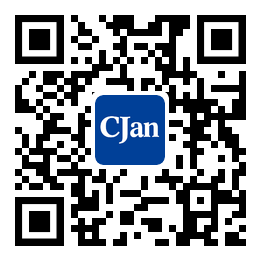 (2) - CJan Fluid Technology Co., Ltd. Compared with the ordinary mechanical seal, the convoluted tubing mechanical seal does not need to machine the steps on the sleeve, itself can establish a balance diameter. When in equilibrium state (generally partial balance), the inner and outer diameter dimension parameters of convoluted tubing can be adjusted to achieve ideal state. The convoluted tubing mechanical seal in the application is generally balanced seal. The dynamic ring and the static ring sealing point are all sealed and connected by the metal (nonmetal) gasket fastened by bolts, so it is difficult to find the leakage situation. In fact, the end face of friction pair of dynamic sealing point is the only leak point of convoluted tubing mechanical seal, which will undoubtedly reduce the probability of leakage. However, the ordinary mechanical seal has three mainly leak points: dynamic ring seal ring, static ring seal ring and the end face of friction pair. In these leakage points, 40% of the total leakage is caused by the dynamic, static ring auxiliary sealing ring failure. The convoluted tubing mechanical seal cancels the dynamic sealing ring, which greatly reduces the vibration caused by the Pump body vibration or shaft shock that transmitted by ring seal ring. This allows the dynamic ring to be shielded from large effects and is usually called the floating property of seals. When the convoluted tubing is designed as a static structure with damping device, the damper can effectively prevent the vibration of the shaft and the pump body in the case of high wire speed, so the applicable line speed is greatly improved and its line speed can reach 100m/s. The general design of spring pressure in the use process of ordinary mechanical seal is 0.15MPa-0. 25MPa, and in the process of convoluted tubing mechanical seal is 0.05MPa-0. 15MPa. The spring pressure is obviously smaller when the convoluted tubing mechanical seal is stationary structure. Therefore, the friction heat produced by spring-specific pressure is reduced and the end face temperature is reduced, thus reducing the wear on the end face of the friction, that is, reducing the mechanical power consumption, improving the sealing performance and prolonging the service life of the seal.